The world of OTT live event streaming is a particularly dynamic space to inhabit. As broadcasters adapt and evolve and new OTT platforms enter the market, service providers need to be agile enough to react to new demands quickly and effectively. Most recently, the need to localise and regionalise top tier live events, and to maximise advertising revenue across multiple territories and devices, has been a key focus. When using a traditional video production workflow, expansion generally results in an endless chain of playout servers mostly carrying the same video content for different regions. Essentially, only the audio commentary and the video during the event breaks differ by region. As such a new approach is required when looking to localise and regionalise. In traditional linear broadcast, localisation of a live event is usually designed around a linked set of playout systems using a single source that is localised during breaks by running multiple playlists in parallel. More recently the OTT world has adopted various Server Side Ad Insertion (SSAI)/Dynamic Ad Insertion (DAI) technologies that rely on the same mechanisms that were originally developed for localising live broadcasts in playout. Both solution designs are based on the old paradigm of cue-tone messages wrapped in very elaborate standards like SCTE-104 and SCTE-35. Traditionally, these SCTE signals never reached a consumer device; they were meant to be interpreted by the local playout systems downstream. The introduction of SSAI/DAI changed all that. Consumer devices, or players, are now required to be aware of markers, time periods, beacon URLs, audio language availability, resolutions and codecs – all varying during a live stream. Today in 2019, this is still an awful lot to handle seamlessly, let alone when standardisation is slow and not all operating systems are created equal, especially around Connected TVs. 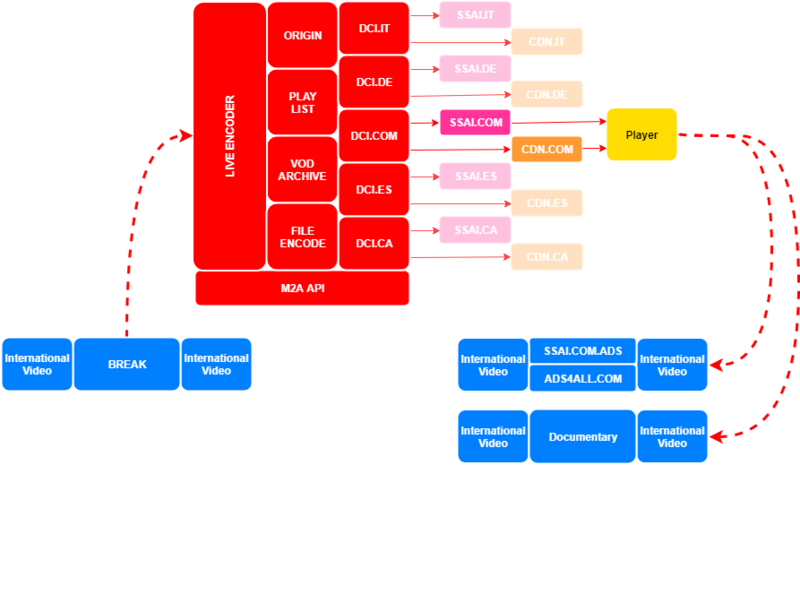 We shouldn’t forget that Connected TV is still the most popular way of watching an OTT live stream, as the diagram below demonstrates. Even in 2019 the installed Connected TVs at home still deliver the best live stream experience with many based on Smooth Streaming and Playready. But the problem with Smooth Streaming is that it is not compatible with SSAI/DAI technologies. In response to the challenges laid out above we recently launched our new solution – Dynamic Content Insertion (DCI). DCI both replaces video segments in all formats and rewrites manifests; in order to localise break content while maintaining compatibility. 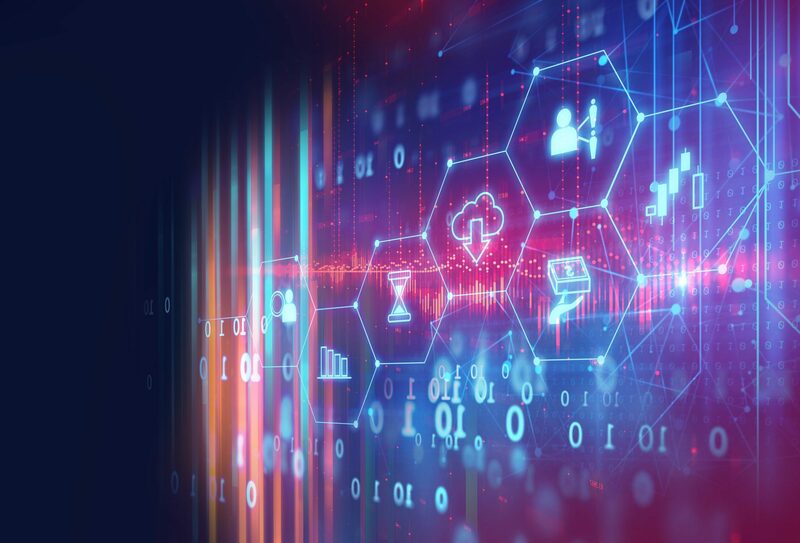 While DCI may sound like a straight-forward solution, the implementation is difficult to get right for 100 per cent of devices and in a reliable and scalable manner. The break replacement content is actually an exercise in VOD to live. Static content is inserted in a live stream as if it was live. That means for each inserted fragment M2A Media manipulates the replacement content timecode to match the original one. To maintain compatibility, all encoded static video content needs to be encoded using exactly the encoding profile as the live stream. Smooth Streaming is particularly demanding as it specifies only one SPS/PPS pair in a given stream. A new workflow had to be developed to line up the content to be played out for each break. The new workflow has two stages, the first produces a localised stream for each break and the second produces a personalised stream for the same break. The stage one localised stream ensures a localised stream is delivered where true personalised SSAI/DAI cannot be used (for example to Smooth clients).In stage two we prepare the stream for full personalisation through the SSAI/DAI service. The workflow starts with the event scheduling where each break is assigned an ID and the set of localised content for the break is prepared. During playout SCTE markers are inserted in the event video stream at in and out points of each break. The SCTE markers are picked up in stage one and a set of localised content is rewritten into the source event stream producing a new set of localised live streams. The same SCTE markers are also passed through to stage two processing where they are used to create the marked up manifests used by targeted SSAI service to add personalised live ads. The server-side ad insertion is delivered in stage two using personalised manifests which are layered on top of the regionalised live streams. Our staged DCI model will also accommodate different monetisation or syndication strategies concurrently during a single live stream event. A break trigger can trigger three different break-playlists each tailored for a specific audience eg., 4K HDR + no ads + Dolby Audio vs SD-only, with Ads vs HD with US ads and a Spanish audio track. The possibilities and varieties are endless. Based on Public Cloud technology M2A’s DCI solution enables localisation without the heavy lifting of running multiple local playout systems in parallel. It also enables using running concurrent SSAI/DAI systems which in turn enables multiple monetisation models. If you’d like to speak to me about our Dynamic Content Insertion solution at NAB 2019, please book a meeting with me in Las Vegas, or drop by the M2A Media booth SL5121.